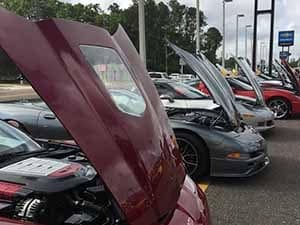 Here at Nimnicht Chevy, we are proud to support a number of charities and events throughout the greater Jacksonville community. We know that it’s our residents that make the community such a great place to live, so we want to give back in any way we can. While we may be best known for selling Chevy vehicles, we love spending our time outside the dealership spending time bettering the greater Orange Park area. Find out more about our community efforts and how you can get involved! Nimnicht Family of Dealerships were proud presenting sponsors of the 2018 Safe Harbor Boys Home Redfish Roundup ! A total of 119 boats signed up, and the winning number of spots were 16! Way to fish ladies and gentlemen! The Nimnicht Family of Dealerships was proud to be a major sponsor of the Oren Margol Foundation golf tournament yesterday, which raised $70,000 for the Duke University Brain Tumor Center. For the Golf tournament we had a hole-in-one with one of our Chevrolet Bolts at the San Jose Country Club! Billie was able to play on a team with friends who all grew up with Oren. Nimnicht Chevrolet was proud to take part in the 2017 Celebration & Award Gala for the Peter Bragan for Better Baseball Foundation. Nimnicht Chevrolet and 99.9 Gator Country sent 3 winners on a Dream Trip of A Lifetime to Las Vegas for the 53rd ACM Awards. They had a blast and were up close and personal with all of the stars. No Shave November has come to an end at Nimnicht Chevrolet. Thank you to all who participated, we ended up having 30+ participants some did drop out throughout the month. One of No-Shave Novembers charities is St. Judes Children’s Hospital, we decided to choose our local children’s hospital, Wolfson Children’s Hospital! Nimnicht Chevrolet set up a BBQ for the Troops! Congratulations to Tina E., winner of the 2017 99.1 WQIK 99 Days of Summer Chevy Colorado Giveaway! 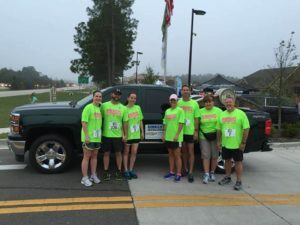 Nimnicht Family of Dealerships was proud to sponsor and to be a part of the Players Donna 5K! Nimnicht is partnering with Action News Jax and Mow Journey to take care of local military families’ yards for free! If you know a military family who needs their lawn taken care of while they are deployed, please reach out. 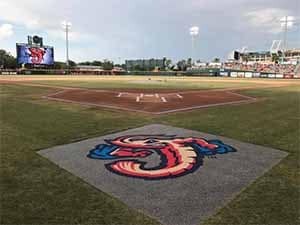 On July 3rd of 2017, the Nimnicht Family of Dealerships was proud to sponsor and to be a part of the Jumbo Shrimp game and participate in the fun! 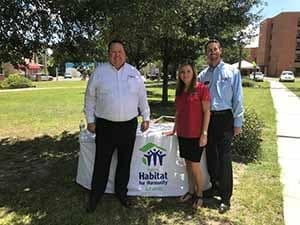 During the 2017 HabiJax Home Dedication ceremony, our Family of Dealerships was proud to have donated two homes. 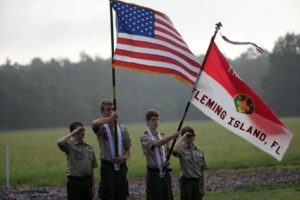 Learn more about this year’s ceremony. 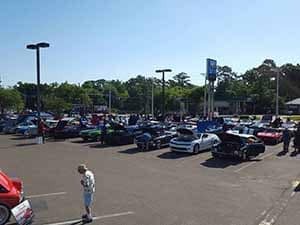 We were proud to partner with the Jacksonville Corvette Club again in 2017 for this annual event! All proceeds benefitted the Safe Harbor Boys Home. 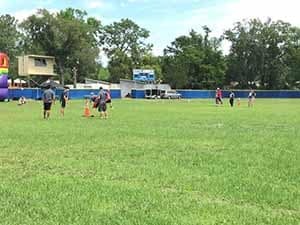 First Coast Christian School put on the Battle of the Branches, and we were proud to be able to sponsor such a fun event. It was a fun filled day of friendly competition of capture the flag and a unique game of dodgeball to all who have served our country! 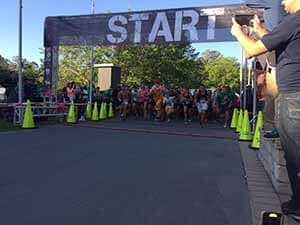 2017 marked our 7th year as the Presenting Sponsor of THE PLAYERS Donna 5k Run, which benefits the path to beat breast cancer! We had a blast at this amazing event. 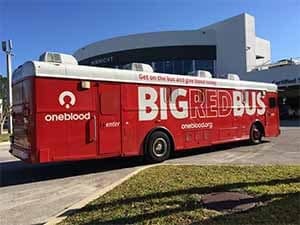 The OneBlood Big Red Bus came on March 3rd 2017 for a Blood Drive! Here are some of our employees who donated their blood to save lives. Chevrolet, the “Official Vehicle of Major League Baseball,” has expanded their support to youth baseball players in communities across the country through the Chevy Youth Baseball program. Nimnicht Chevy chose San Mateo Little League as their team this year. 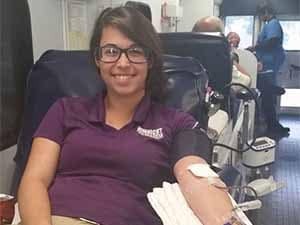 Thank you to OneBlood and those who took time out of their busy days to donate blood and help give back to the community. We truly appreciate it and are sure those who will receive it do too. 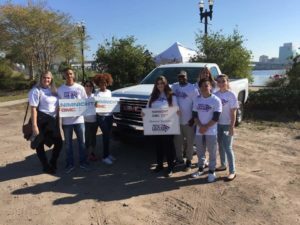 We had a great time being a part of the 1st Annual Run FUR Fun 5k, which benefitted Friends of Jacksonville Animals, Inc.
We partnered with the Jacksonville Corvette Club in 2016 for this annual event, and all proceeds benefitted the Safe Harbor Boys Home. We were proud to be a Water Station Sponsor for the 2016 Jacksonville Walk to End Alzheimer’s benefitting the Alzheimer’s Association! Nimnicht Buick GMC and Nimnicht Chevrolet were proud to be the Ammo Sponsors for the 2016 Sporting Clays Classic that benefits the BSA, North Florida Council! We had a great time being a part of this fun event! 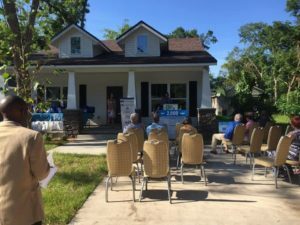 We enjoyed being a part of the HabiJax Home Dedication and 2,000th Home Celebration! Nimnicht Buick GMC and Nimnicht Chevrolet are proud to have each donated a home this year! 2016 marked our 6th year as the Presenting Sponsor of THE PLAYERS Donna 5K! We had a great time at this fun event that benefits the 26.2 with Donna The National Marathon to Finish Breast Cancer! 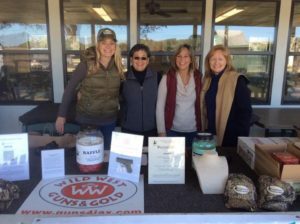 The Nimnicht Family of Dealerships was proud to be an Ammo Sponsor for the 1st Annual Angelwood Sporting Clay Shoot. Angelwood’s mission is to improve the quality of life for children and adults in Northeast Florida with developmental disabilities and their families. 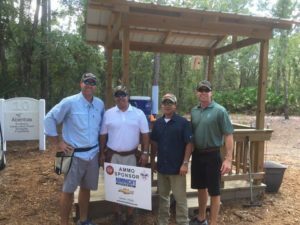 Nimnicht Chevrolet and Nimnicht Buick GMC were proud to be the Ammo Sponsor for the 2015 NFC Sporting Clays Classic, benefitting the Northeast Florida Boy Scouts of America North Florida Council. Over $75,000 was raised at this year’s event! We had a great time hosting Jacksonville Running Company’s Halloween Howler 5K at Nimnicht Buick GMC! Great turnout for this fun night race! 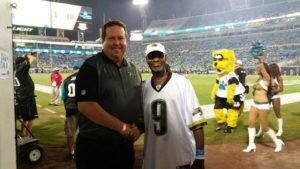 Nimnicht Buick GMC and Nimnicht Chevrolet were excited to give away a 2015 Buick Encore on the field during haltime of the Jacksonville Jaguars game on August 28! Congratulations to our winner, Lathel Blaine! 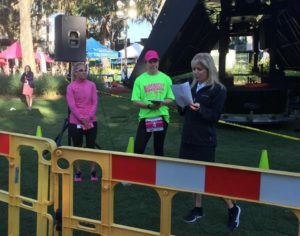 Nimnicht Buick GMC and Nimnicht Chevrolet are proud to be the Title Sponsor of the Jacksonville Running Company Sunny Runner Race Series! Great way to start of the 4th of July! 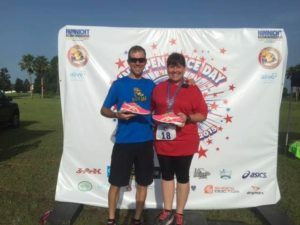 Nimnicht Chevrolet and Nimnicht Buick GMC are proud to be the Title Sponsors of the Jacksonville Running Company’s Sunny Runner Racing Series! 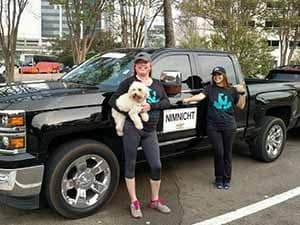 The Nimnicht Team had a great time running in the inaugural Shamrock 5K! Nimnicht Chevrolet and Nimnicht Buick GMC were proud supporters of the 2015 UNF Dance Marathon. 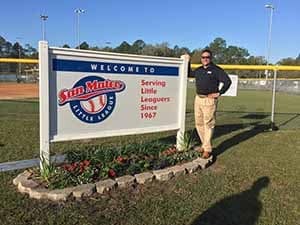 This great event raised more than $43,000 for the local Children’s Miracle Network – Jacksonville hospitals, Wolfson Children’s Hospital and UF Health. Congratulations to everyone involved for reaching the highest fundraising total yet! 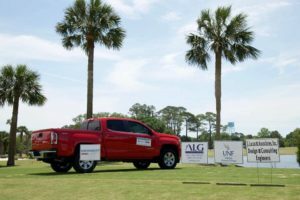 Nimnicht Buick GMC and Nimnicht Chevrolet were proud supporters of the UNF Golf Classic, benefitting the University of North Florida Department of Athletics! 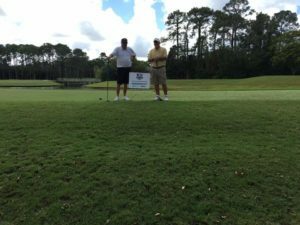 We had a great time being a part of and supporting the Jacksonville Firefighter Charities Golf Outing at Deercreek Country Club. Proceeds from the tournament are distributed to several Jacksonville charities! 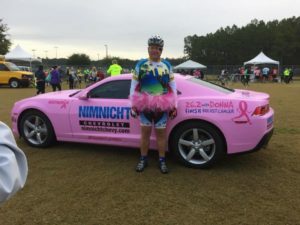 Nimnicht Chevrolet and Nimnicht Buick GMC were proud supporters of the 6th Annual DONNA Bike that benefited the 26.2 with Donna The National Marathon to Finish Breast Cancer. The Nimnicht Family of Dealerships was proud to be the Presenting Sponsor for the 8th Annual SJEDS Golf Classic. A great event for a great cause! Nimnicht Chevrolet and Nimnicht Buick GMC were proud to be the Ammo Sponsors for the Sporting Clays Classic on benefitting more than 17,700 Boy Scouts in North Florida! Fun event for a great cause! 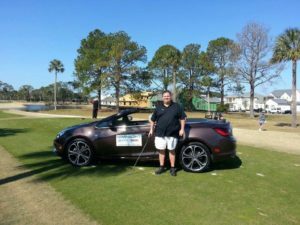 We were proud to provide a Buick Cascada hole-in-one vehicle for the UNF Fore Scholarships Golf Classic that directly benefits University of North Florida student scholarships! Always a fun event to be a part of! 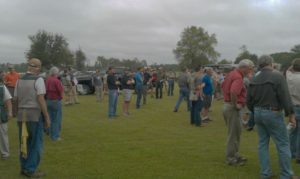 We had a great turnout for our New Owner’s Clinic. 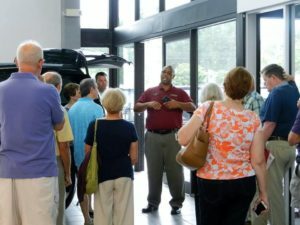 Russ Aldridge, our Certified Technology Expert, did a live demo on how the Intellink system works, showed everyone how to pair their Bluetooth, and reviewed the Navigation system, as well as answering any questions. 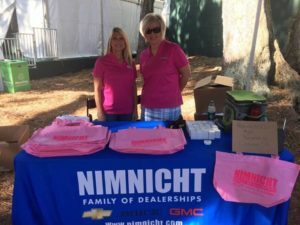 Nimnicht Chevrolet had such a great day at the West Jacksonville Shrine Club’s Annual Charity Golf Tournament! 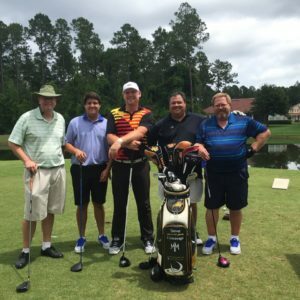 We had a great time at the Down Syndrome Association of Jacksonville Golf Classic. Proud to support such a great organization! 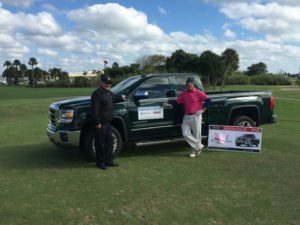 Nimnicht Buick GMC was happy to be part of the 17th Annual Builders Classic supporting Beaches Habitat for Humanity and Oceanside Rotary Charitable GIving. Great weather and a great event! 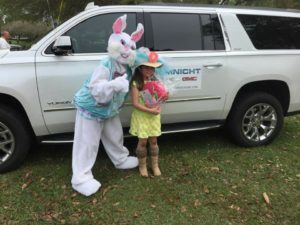 We had a great time at the Julington Creek Plantation – Recreation Center Spring Fling – Easter egg hunt, bounce house, petting zoo, games, and a visit from the Easter Bunny! 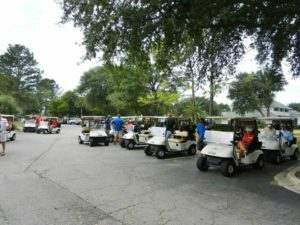 Nimnicht Buick GMC was happy to be a part of the UNF Fore Scholarships Golf Classic at the Atlantic Beach Country Club. The tournament is a fundraiser for UNF student scholarships! 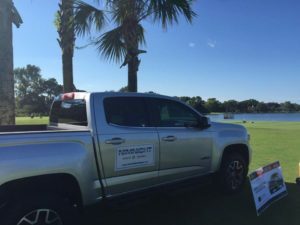 Nimnicht Buick GMC is proud to be the Official Transportation for the Operation Support Military Golf Invitational at Windy Harbor Golf Club at Naval Station Mayport. OSMG’s mission is to provide funding for military golf courses that receive zero government assistance. 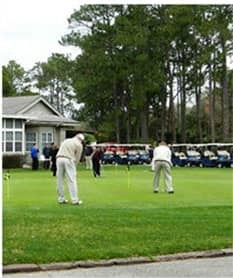 Mayport’s Windy Harbor Golf Club will receive $1 Million worth of improvements, including clubhouse upgrades, on-course restrooms, maintenance equipment, and more. We are honored to be a part of this great event for a wonderful cause! Thank you to all of our current and past military personnel! 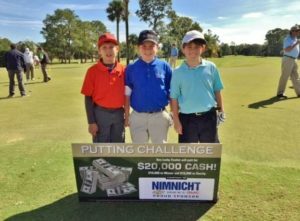 Nimnicht Buick GMC is a proud supporter of the Action Sports Jax Dream 18 Golf Tournament benefitting North Florida Junior Golf and the Boys and Girls Club of Northeast Florida! 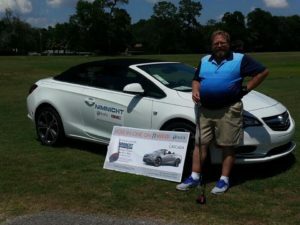 Nimnicht Chevrolet was a proud sponsor of the 2nd Annual Salvation Army Orien Pass Memorial Golf Tournament, benefitting the Salvation Army’s programs and services in Clay County! 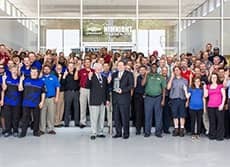 Nimnicht Chevrolet is a proud recipient of the 2014 GM Dealer of the Year Award, one of the only 50 Chevrolet award winners nationwide! It’s a great honor for the Nimnicht family and all of our fantastic employees! We had a great time celebrating with our employees and wonderful customers during our Customer Appreciation Day! 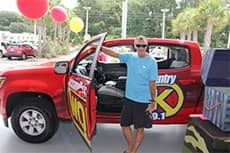 Congratulations to Chuck W, winner of the 2015 99.1 WQIK 99 Days of Summer Chevy Colorado Giveaway! 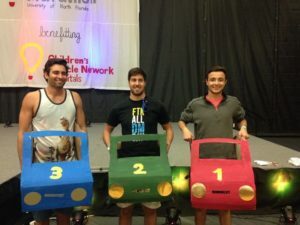 Nimnicht Chevrolet was this year’s proud sponsor of the UNF Dance Marathon benefiting the Childrens Miracle Network. 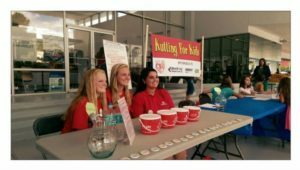 This 17 hour, student organized event is held every year to raise funds and awareness for the pediatric programs at UF & Shands Jacksonville and Wolfson Children’s Hospital. 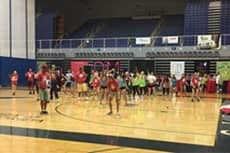 Since the beginning of the UNF Dance Marathon 6 years ago, students have raised over $160,000! 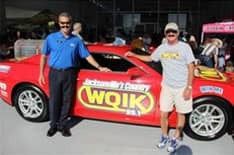 Nimnicht Chevrolet partnered with 99.1 WQIK again in 2014 for WQIK’s 99 Days of Summer promotion. Bob & Hazel W were the lucky winners of a 2014 Chevy Camaro! What a great way to celebrate their 50th wedding anniversary! Congratulations! Nimnicht Buick GMC and Nimnicht Chevrolet are proud to be the Presenting Sponsors of the San Jose Episcopal Day School Golf Classic! Great time for a great cause! 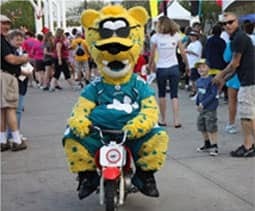 Nimnicht teams up with the Jacksonville Jaguars! 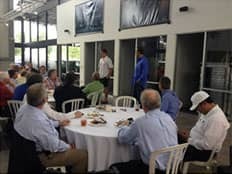 Nimnicht Buick GMC and Nimnicht Chevrolet were proud to host a Jacksonville QB Club Meeting. Jacksonville Jaguars 1st round pick Luke Joeckel and former Jag, current Nimnicht spokesman Jeff Lageman were the guest speakers! Great lunch, camaraderie, and interesting insight from Luke and Jeff! Nimnicht Chevrolet was proud to host this great event on August 3, 2014. Many ponytails were collected and donated to Locks of Love for children in need. Thank you to everyone who joined us for this wonderful event! We always enjoy participating in this noteworthy event hosted by Donna Deagan herself. Thank you Becky and Lee Nimnicht for a job well done! 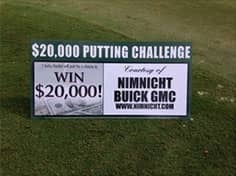 Nimnicht Buick GMC was a proud sponsor of the Windsor Parke Annual Golf Classic in 2012. Over the last 18 years this Annual Golf Classic has evolved into the wonderful and successful fundraising event it is today. Through the generous support of people like you, we have been able to raise over $300,000 to help defer the cost of operating our beloved St. Paul’s Catholic School. In 2001 the golf committee established a financial aid scholarship fund to support the Catholic education of families in need, and since its inception the Golf Classic has contributed over $146,000 to this fund. Nimnicht Buick GMC sponsored several holes for this event, including number seven, giving participants a chance to win a brand new 2012 GMC Terrain. 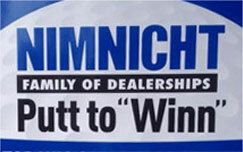 Nimnicht Buick GMC sponsored the 2012 Juvenile Diabetes Research Foundation Walk to cure diabetes in 2012. We provided four trucks to help haul water for the event, served breakfast and lunch, and assisted with the setup and breakdown of all tents and displays. JDRF is the largest charitable supporter of Type 1 diabetes research. What a great cause and event, and thanks to all who were involved! 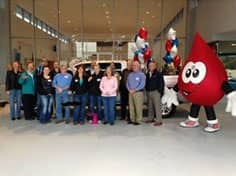 Nimnicht Chevrolet was proud to partner with The Blood Alliance to give away a 2014 Chevrolet Silverado to a deserving blood donor. From August 12, 2013 to January 11, 2014, over 41,000 people donated blood and were entered to win the Silverado. 20 finalists were invited to Nimnicht Chevrolet on February 1, and Jerry Figueroa was our Grand Prize winner! 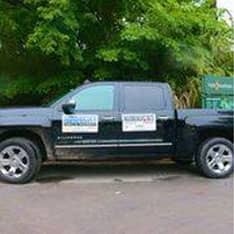 We are proud to support this great cause and give a Silverado to a very deserving donor! The Nimnicht Family of Dealerships is a proud supporter of the Tim Tebow Foundation and its mission! Nimnicht Buick GMC and Nimnicht Chevrolet are proud sponsors of the NE Florida Wahoo Shootout, the World’s Largest Wahoo Tournament based right here in Jacksonville! 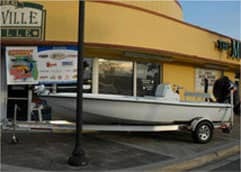 To learn more about this tournament that allows you to Fish Where You Want, When You Want, visit www.wahooshootout.com. Nimnicht Buick GMC and Nimnicht Chevrolet are proud sponsors of the Winn-Dixie Jacksonville Open presented by Planters, a Web.com Tour event. 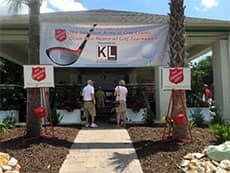 Proceeds from the tournament benefit the Winn-Dixie Foundation and 100% of the proceeds from ticket sales go directly to local charities.